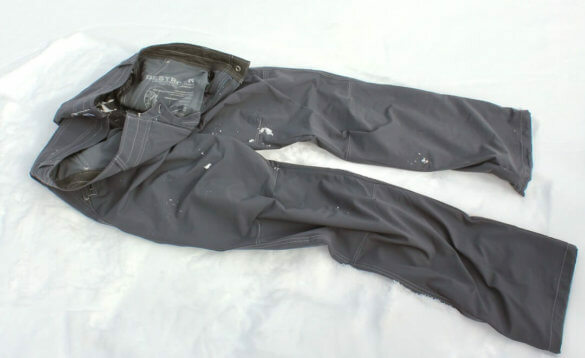 The KÜHL DESTROYR softshell pants are designed for the mountains but excel just about everywhere. In fact, the KÜHL DESTROYR pants are the best pants I’ve ever worn. I first stumbled upon KÜHL a few years ago and wrote about my experience — Once You Go KÜHL, You Never Go Back — but I’ve only just recently been able to wear the KÜHL DESTROYRs. I’m fairly tall, and I have long inseam. I typically need a 36-inch inseam. For years, KÜHL only made the DESTROYRs with inseams up to 34 inches. Last fall when I noticed that KÜHL was offering the DESTROYR with a 36-inch inseam, I immediately ordered a pair. 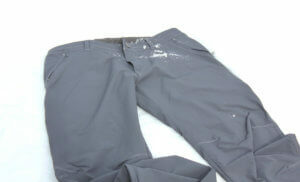 The KÜHL DESTROYR is a comfortable outdoor pant designed for action. It has everything you need, nothing you don’t. Best outdoor pant ever. All of KÜHL’s pants are already some of the most comfortable and best-fitting pants around, but the KÜHL DESTROYRs introduced me to a new level of comfort. 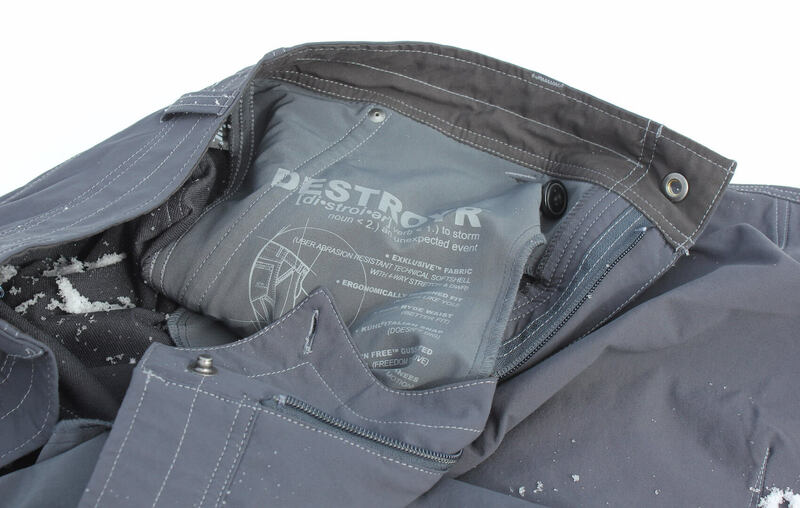 The DESTROYRs are made with 92 percent nylon and 8 percent spandex. They have a weave that gives them a slight 4-way stretch. When you combine the stretch with the signature KÜHL cut — you get a gusseted crotch and articulated knees — the DESTROYRs are so comfortable that I just don’t want to wear any other pants. The KÜHL DESTROYR is built from a 4-way stretch fabric with a tight exterior weave. 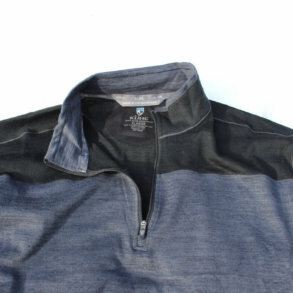 A DWR coating sheds moisture. Comfort aside, the KÜHL DESTROYRs are built for action. 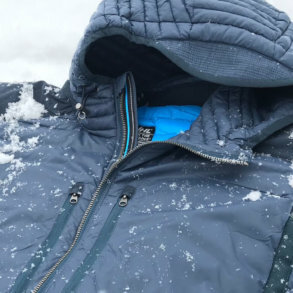 I’m not sure how many people actually use them for mountaineering, climbing, or snowshoeing, but you certainly could, assuming that you’re layering correctly for the weather. I’ve worn them under waterproof ski pant shells for downhill skiing, and wow, they’re still comfortable. For outdoor use, the KÜHL DESTROYR includes a smooth outer face fabric that’s coated with a DWR finish. 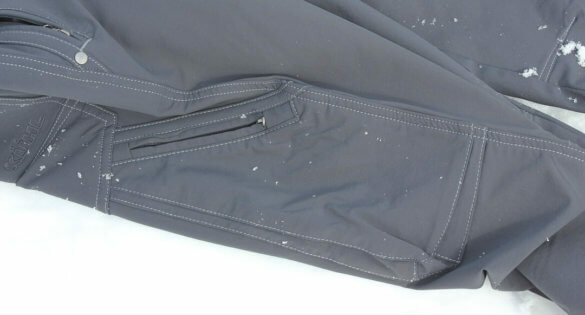 The tight outer face and DWR coating sheds light rain, drizzle and snow, but it’s not truly waterproof. Incidentally, this outdoor-oriented design feature pays off handsomely indoors in everyday use: The KÜHL DESTROYRs shed food and dirt, too. If you get something on your DESTROYRs, just take a damp cloth and wipe it off. In the winter where I live, the biggest issue is brushing your pant leg against the side of a pickup when you’re getting in and out — there is usually some snow, ice or slushy road grime along the bottom of the vehicle. With the DESTROYRs, I can usually just brush any of it off my pant leg with a glove and keep going. 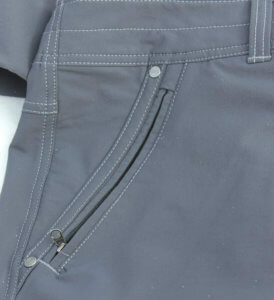 KÜHL pants have smartphone pockets built into the upper thighs right behind the side seams. These pockets are what first turned me onto KÜHL — once you start wearing pants that have these smartphone pockets, you’ll never want to wear any other pant. Other manufacturers have started adding smartphone pockets like KÜHL, but KÜHL does it right. 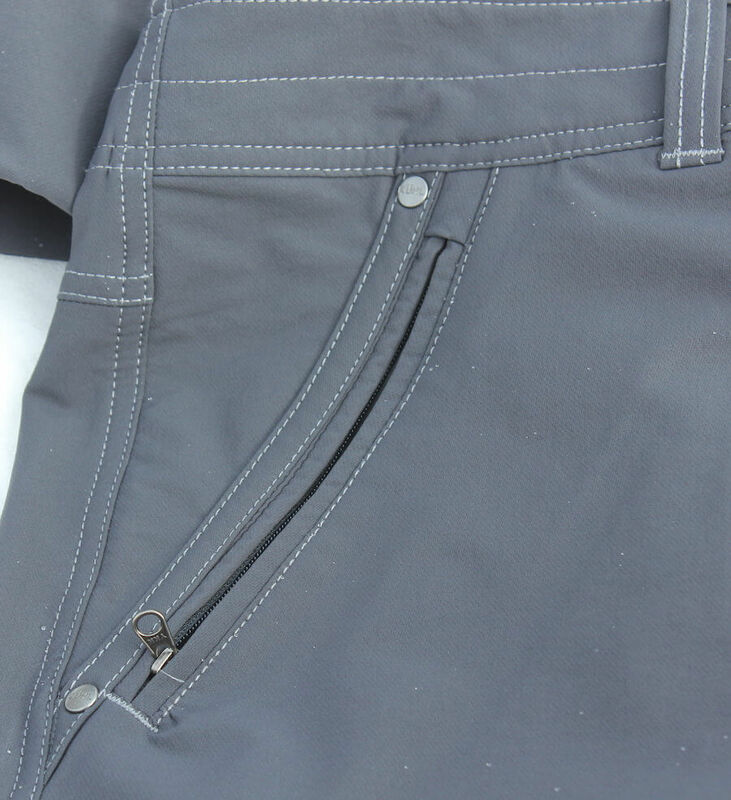 The fitment of these pockets makes the weight of your smartphone seem to disappear. The KÜHL DESTROYRs have six total pockets — standard front and back pockets plus a right-side smartphone pocket and a left-side smartphone pocket. The right has an angled entry while the left side has a straight entry with the pocket situated underneath the main fabric of the leg. 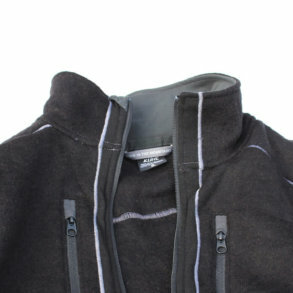 All of the pockets are zippered with reverse coil zippers that are designed to help repel snow or water. At first, I wasn’t sure I’d like the zippers, but I’ve come to appreciate the extra security they provide. 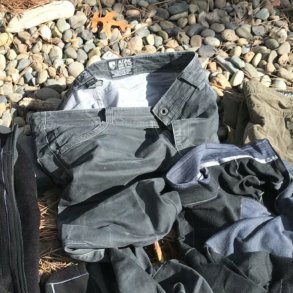 KÜHL DESTROYRs: Best Travel Pant? All the pockets are zippered. The KÜHL DESTROYRs definitely have an outdoor-focused style, so if you’re a bit more buttoned up and urban, the KÜHL DESTROYRs probably aren’t for you. For outdoor lovers on the other hand, the KÜHL DESTROYR is darn near perfect for traveling. The easy-to-keep-clean comfort is great, of course, as are the zippered pockets, which add a bit of security when you’re distracted and sitting and standing in public places. If you’re crammed into public transportation, the DESTROYRs aren’t going to bind up on you. And if you’re hiking anywhere, even if it’s just between pubs, you’ll appreciate the comfort of the DESTROYRs. KÜHL DESTROYRs: How’s the Fit? Because KÜHL pants were first created for guys who spend active time in the mountains, KÜHL designed its pants with fuller thighs capable of fitting guys with strong legs. Right now, KÜHL has evolved its pants into three core types of fit: Full, Klassik, and Tapered. The KÜHL DESTROYRs are a Full fit style, and the overall fit is pretty much spot on. I have big thighs and simply don’t fit most regular pants or jeans. If you have big thighs and calves, stick to the KÜHL pant options that have a Full fit; however, I can fit some of the KÜHL Klassik-fit pants, too, so don’t write those off. You’ll just have to give them a shot if there is a style that interests you. Some of the Tapered pants taper primarily from the knees down, so if you have bigger legs, you still might be able to fit some. All-in-all, the KÜHL DESTROYRs are my new favorite pant. The DESTROYRs are offered in just two colors, Raven and Carbon. Raven is essentially a black while Carbon is a gray. I bought both. I’m not sure if this last statement says something more about me or more about the KÜHL DESTROYR pants: In the last four months, I’ve worn KÜHL DESTROYRs nearly every day. Very highly recommended.